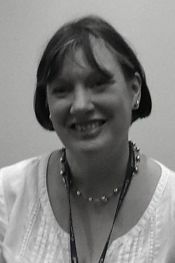 Kathryn Flagner is the Senior Librarian at Workington Library, Cumbria. This is my second year as a CKG judge, and I thought I was well prepared, as I had read lots more children’s and young people’s books than I normally do, and I read quite widely ordinarily. Then at the judges training day I was given the nominations list and was amazed at how many books were on it, 91 for Carnegie alone! I would disagree with Matt Imrie when he says that the amount of reading at that stage means personal hygiene becomes optional. I would though say housework goes out of the window! Becoming a CKG judge means committing to a number of tasks, one of these is to re-read all of the short listed books. This is a much less fraught process than the initial reading of all nominations, indeed the time span is almost leisurely. I find that I enjoy the books more on this second reading, as I am not thinking about the pile of books still to read. More importantly on a second, or even a third reading if there is time, details are picked up that might have been missed on a first reading. The notes I am now taking are very detailed, including quotations that support points I want to make when discussing the books at the final judging session. This might all sound like hard work, but I think it is worth it for the benefits of being a CKG judge. What else would allow me to spend days talking about great books with people who are equally passionate about books and reading?